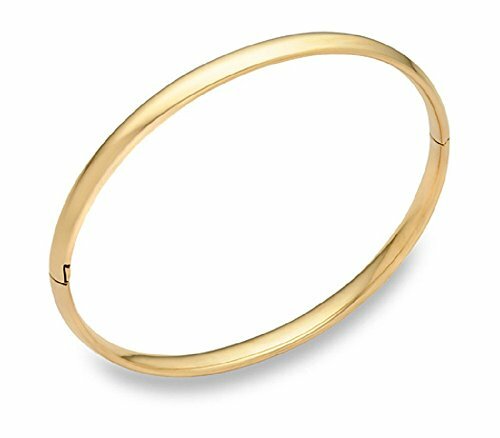 Basic yet striking, fancy and elegant this 14K Solid Yellow Gold Plain High polish Bangle with Hinge fancy lock is a beautiful piece for everyday wear. Can be worn with basically any outfit or any occasion. This piece also makes the perfect gift for loved ones , girlfriend, wife, grandma, friend , mother, daughter , sister or just because. You will love this 14K Solid Yellow Gold Plain High polish Bangle with Hinge fancy lock!